Saturday morning, 11 o’ clock. 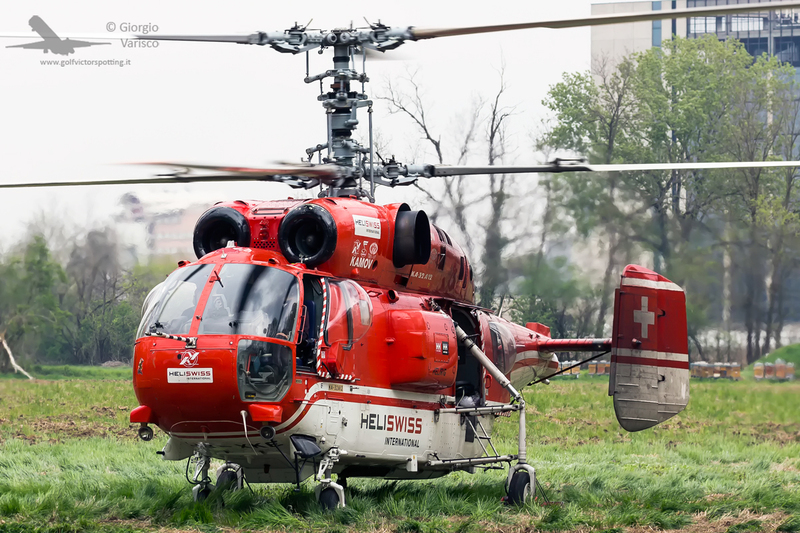 A friend Whastsapped me some photos of a Russian Kamov Ka-32 helicopter operated by Swiss company Heliswiss during swing load operations near Milan to carry HVAC units for a business district. My friend managed to follow it until it landed, in a park between the municipalities of Milan and Segrate, and speaking with the pilot he was able to tell me that it would have took off again in half an hour. Fortunately I was visiting my parents nearby, and I had my camera with me. I managed to reach the park just in time to see it taking off. It was nice to be able to catch it. Last september, this same helicopter was used for sling load operations around some skyscrapers in Milan while I was spotting elsewhere. It even “trolled” me by overflying me that day! Notice the twin counter-rotating coaxial rotor configuration, typical of Kamov helicopters (but the first helicopter with this configuration flew in Italy in 1930, designed by Corradino d’Ascanio, who later designed the famous Vespa scooter). This configuration allows to dispose of the tail anti-torque rotor, thus enabling a shorter fuselage compared with traditional helicopters. The compactness of this configuration allowed Kamov to win a contract for anti-submarine warfare helicopters to be embarked on Soviet Navy ship, designing the Kamov Ka-25 (NATO codename “Hormone”). The Ka-25 evolved in the larger Ka-27 (NATO codename “Helix”), of which the Ka-32 is a civilian version).